Clean air is an important thing to have around you. A good way to get it is to use an air purifier. Some of the best air purifiers are some you wouldn’t expect. For example, a UV air purifier works wonders for the air around you. In this article, we will tell you if UV air purification systems and UV air purifiers work. Long story short: those UV air purifiers really work! If you’re wondering how UV air purifiers work, just keep reading. UV air purifiers have been in use for a little while. They are sometimes used with other air filters, so you might need to get a combination of a UV air filter and a carbon filter or HEPA filter. These filters work hand-in-hand with each other and provide a great environment for you and your health, especially against allergies. You’ll find yourself breathing easier in your home when you have a UV air purifier. UV air purifiers not only clean the air of allergens, but assist in removing mold and other microbes from the air as well. To begin with, we have to define what “UV” is. “UV” simply means “ultraviolet”. This is an electromagnetic radiation with a wavelength shorter than what is visible. Basically, this is the scientific way of saying “light”. We can’t see ultraviolet light but this is the light that actually gives us sunburn when we’re outside for too long. It’s not as strong as X-ray radiation, but it is in a similar area of wavelength. Combining these ultraviolet electromagnetic waves with an air filter is one of the best ways to get rid of airborne microbes. There are a few different types of ultraviolet lights, but you’ll see UV-C on a lot of brands. This is the optimal type as opposed to UV-A and UV-B, considering it is the shortest wavelength of the three. This means it is germicidal. It kills germs! However, it goes farther than germs—it also kills allergens, fungus, and more. You may have heard that UV air purifiers don’t get the job done. There are also claims that they can produce ozone, which can potentially be harmful to humans. It’s a scary thought to be subjected to these things from something that should be cleaning your air. However, there are respected, well-known brands out there that are safe with their bulbs and air purifiers, so you can’t go wrong with them. Are UV Air Purifiers Harmful? There’s not an easy answer for this, but some of them aren’t up to industry standard. Most of the UV bulbs in these air purifiers are coated with a special substance that keeps the ozone production to a minimum, well beneath the amount that the Environmental Protection Agency requires. Ozone is dangerous to humans and animals to breathe in, but only in large amounts. It is all around us, after all. The other thing you might worry about is the UV radiation that comes from the bulbs. While this might be concerning, the bulbs are not powerful enough to cause any damage to you or your body. A tremendously high-powered bulb would be needed to damage cells of your body. This, of course, could be dangerous, but the UV air filter bulbs aren’t that strong. They’re strong enough to kill microbes that come into contact with them, though. Because these bulbs employ the use of ultraviolet radiation, these wavelengths will basically incinerate the particles upon contact. That means that they will be destroyed when pulled into the bulb. However, that also means the bulb has to be strong enough to eliminate the particles on contact, so it has to be relatively strong. You won’t find these on cheap UV air purifiers, so you’ll want to look for the higher-priced ones. With a stronger bulb, you’ll eliminate those microbes pretty easily. It can take up to a second to destroy microbes with a weaker bulb, which means that air flow will make it move too fast for it. Therefore, the stronger bulb will eliminate them faster than that second. With the intake of air, it will pull those microbes in and destroy them from being in the air. It’s a great tool to have in your home and will filter a lot of air for you and your family. There are many benefits when it comes to having a UV air purifier. While there are some benefits, there are cons that you should be made aware of. They’re not necessarily deal breakers, but they’re something to keep in mind! The air purifier gets rid of many airborne microbes that cause problems with allergies. If you find yourself suffering from dust or pollen allergies, you will find that a UV air purifier can do a lot of good for your breathing. 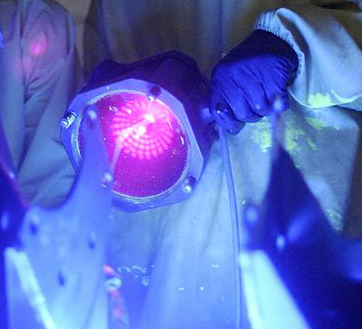 UV-C light is strong enough to destroy pathogens like bacteria and viruses. If you find yourself getting sick more than normal, an air purifier will do better than you think. It will kill viruses and bacteria when they are pulled in. While not as strong as an ozone generator, UV air filters will eliminate many odors that can float through your home. If you have a smoker or find yourself having a lot of kitchen odors, this can help you a lot. The UV light reduces the chance of getting mold in your home, eliminating potential mold spores that float in. If a spore attaches to a wall, it’s possible that you could end up with a mold problem. The UV light will eliminate these spores. They are convenient to use. It’s simply a matter of plugging it up and turning it on. They usually have different settings, so you can run it as much as you want. While effective, UV light bulbs need to be replaced. Unlike filters that could last for a few years, UV bulbs only last about 1-2 years. They lose about 15% of their effectiveness every year, so you’ll want to replace it at least around the second year. The UV air purifiers are relatively expensive, considering they’re a newer sort of air filter. The technology will get cheaper over the next decade, however. Either way, the initial purchase and the occasional UV bulb purchase, it can cost a pretty penny. They don’t kill absolutely everything, which is why they are often combined with other air filters like HEPA or carbon filters. Air purifiers are becoming a necessary thing to have in your home. There’s a lot of pollution out there, causing a lot of health issues for everyone. This pollution can get in your home. However, it’s also problematic whenever you have dust and pollen floating into your home and causing allergies for you. The thing about these air purifiers, UV or otherwise, will eliminate these particles. 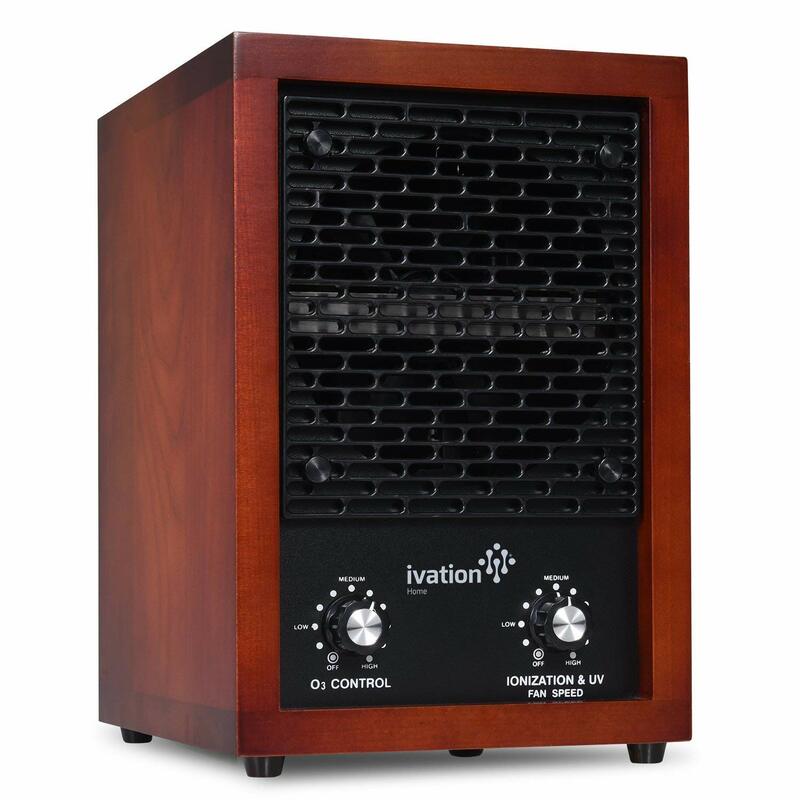 If you’re suffering from breathing issues, a UV air purifier is what you need. Not only is it easy to use, it can be beneficial to the environment. Other than the cheap ones that can produce ozone, there will be nothing but fresh air being emitted into the atmosphere. It doesn’t use much electricity and they can cover a large area of the home, depending on the quality that you buy. As always with anything on the market, you get what you pay for, so be sure not to settle for something cheap! A UV air purifier will go a long way for your health.